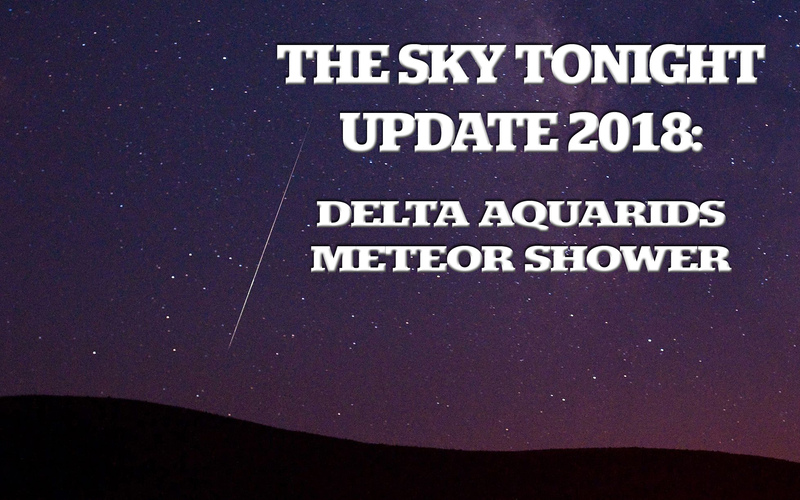 The Delta Aquarids is an average shower that can produce up to 20 meteors per hour at its peak. It is produced by debris left behind by comets Marsden and Kracht. The shower runs annually from July 12 to August 23. It peaks this year on the night of July 28 and morning of July 29. This July 27th, the Moon will be located on the opposite side of the Earth as the Sun and its face will be will be fully illuminated. This phase occurs at 20:22 UTC. This full moon was known by early Native American tribes as the Full Buck Moon because the male buck deer would begin to grow their new antlers at this time of year. This moon has also been known as the Full Thunder Moon and the Full Hay Moon. This July 12th, the planet Mercury reaches greatest eastern elongation of 26.4 degrees from the Sun. This is the best time to view Mercury since it will be at its highest point above the horizon in the evening sky. Look for the planet low in the western sky just after sunset.